Several of the Institute's research centers and teaching programs have new faculty leaders as of July 1, 2018, and three new faculty have joined the Institute's academic teaching staff. UCLA International institute, July 2, 2018 — The UCLA International Institute is pleased to announce a number of new directors of its individual centers, a new academic program chair and several new teaching faculty. It wishes to extend deep thanks to its outgoing directors and academic program chairs for their many contributions and dedicated service to the Institute. Four of the Institute's centers and programs have undergone changes in leadership this summer: the African Studies Center, the African Studies M.A. program, the Center for Brazilian Studies and the Center for Near Eastern Studies. We congratulate Steven and welcome Andrew Apter, UCLA professor of history and anthropology and former ASC director (2007–2011). Apter will serve as interim director for the 2018–19 and 2019–20 academic years. Andrew teaches courses in the Institute's African Studies and International Development Studies programs. A founding member of the history department’s Atlantic History Cluster, he recently published a collection of Yoruba-centered essays that rethink African heritage in Black Atlantic Studies, "Oduduwa’s Chain: Locations of Culture in the Yoruba-Atlantic" (Chicago, 2018). Andrew is currently working on a book that reinterprets the rise of Atlantic slavery through its commodified and fetishized forms, a project that focuses on slave forts and castles and restores enslaved Africans to the epicenters of capitalist modernity. African Studies M.A. Program. Jemima Pierre, associate professor of African American Studies and anthropology, has stepped down as chair of the African Studies M.A. Program. We wish to express our sincere gratitude to Jemima for her capable leadership of the program over the past two years. The Institute welcomes the program's new chair, Harold Torrence, associate professor of linguistics. 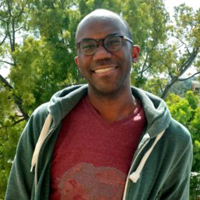 Torrence is a specialist in the syntax and morphology of African and Native American languages and has taught courses in morphological theory, the study of language and field methods. His journal articles and book chapters on Wolof (spoken in Sénégal, the Gambia and Mauritania) and Mixtec (a family of languages spoken in Mexico) include “A Promotion Analysis of Wolof Clefts” Syntax 16:2, “The Morpho-Syntax of Silent Wh-Expressions in Wolof” Natural Language & Linguistic Theory 30:4 and “Wolof Quantifiers” in “Handbook of Quantifiers in Natural Lanugage” (ed. Edward L. Kennan and Denis Paperno; Springer, 2012). Center for Brazilian Studies (CBS). The Institute thanks Dr. Karin Nielsen, M.D., M.P.H., for her caring and energetic leadership of the center over the past six years and her success in building a large network of Brazilians living, studying and working in the Los Angeles metropolitan region. Nielsen, a professor of pediatric infectious diseases at the David Geffen School of Medicine at UCLA and a working doctor at the UCLA Ronald Reagan Medical Center, has been conducting research with a network of hospitals in her native Brazil for almost 25 years. She helped develop existing protocols to prevent mother-to-child HIV transmission and is now a leading researcher on the Zika virus. During her tenure at the Center for Brazilian Studies, Karin oversaw programs that brought increasing numbers of Brazilian students to UCLA to pursue degrees, including the Scientific Mobility Program of the Brazilian government and Lehmann Foundation Fellowships. Returning to the Institute as the new director of CBS will be José Luiz Passos, professor of Luso-Brazilian Literatures and Cultures in the Department of Spanish and Portuguese and a recognized Brazilian novelist. José Luiz was the first director to head up CBS (2008–11) after it expanded from a program into a center of the Latin American Institute. His research interests as a literary scholar include narratives of globalization, environmental humanities (Brazilian sugar and the literary imagination in the Atlantic world) and translation studies. José Luiz's most recent publications include two books on the intersection between creative writing and historiography, “Antologia fantástica da República brasileira” and “A órbita de King Kong,” both published in 2017. Center for Near Eastern Studies (CNES). UCLA Professor of Law Aslı Bâli, who served as director of CNES from January 2016 through December 2017 and as co-director from January through July 2018, has stepped down together with Co-Director Susan Slymovics, distinguished professor of anthropology and Near Eastern languages and cultures (and a former CNES director). The Institute thanks them both for their impressive joint efforts over the past six months. An expert in human rights, international law and the politics of the Middle East, Bâli has been a dedicated and inspired leader of CNES for the past two-and-one half years, expanding its programming and fundraising efforts. The Institute and its staff are sad to lose her leadership, but thrilled to know she leads the Promise Institute for Human Rights at the UCLA School of Law, where she became faculty director in early 2018. The Institute looks forward to being able to collaborate with Aslı and the Promise Institute in the future. 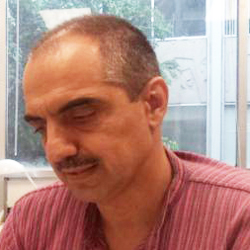 John Charles Hills Professor of Literature Ali Behdad became the director of CNES on July 1, 2018. 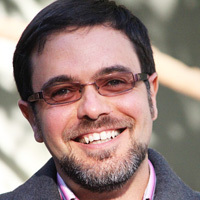 Behdad teaches in the English and comparative literature departments and recently served as chair of the English department. His broad intellectual interests — which span photography in the Middle East, postcolonial literature theory, travel literature and U.S. immigration history — are reflected in his published works, which include “Photography’s Orientalism: New Essays on Colonial Representation” (co-edited with Luke Garland; Getty, 2013), “A Companion to Comparative Literature” (co-edited with Dominic Thomas; Blackwell, 2011), “A Forgetful Nation: On Immigration and Cultural Identity in the United States” (Duke, 2005) and “Belated Travelers: Orientalism in the Age of Colonial Dissolution” (Duke, 1994). Ali’s latest monograph is "Camera Orientalis: Reflections on Photography of the Middle East "(University of Chicago, 2016). 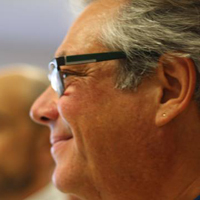 In his absence, Steven Nelson will relinquish his role as equity advisor at the International Institute. Verónica Cortínez has been appointed as our new equity advisor and will take a leadership role on matters of equity, diversity and inclusion at the Institute. 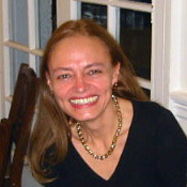 A professor of Spanish & Portuguese and director of the Center for Southern Cone Studies (CSCS), Verónica’s research focuses on Chilean literature and film, contemporary Spanish-American narrative fiction and colonial Spanish-American literature. We thank Steven for his important and valuable service as the Institute’s equity advisor for the past two years, and we look forward to working with Verónica in her new role, as well as her continued leadership of CSCS. Finally, the UCLA International Institute welcomes three new faculty members. These scholars have joint appointments in an academic department and the Institute, where they will regularly teach for its academic programs. 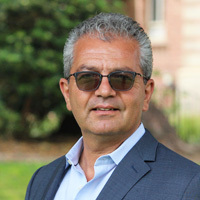 Viktor Agadjanian joins UCLA from the University of Kansas, where he was Foundation Distinguished Professor; taught in the migration, immigration, diaspora and human trafficking faculty cluster; and co-led the Center for Migration Research (of which he was also co-founder). Viktor earned his Ph.D. at University of Southern California and worked for many years at the Center for Population Dynamics of the University of Arizona, where he taught sociology. His research interests span social demography, migration, sexual and reproductive health and behavior, family and religion in Armenia, Central Asia, Mozambique and Russia. Viktor has a joint appointment in the UCLA sociology department and the International Institute. 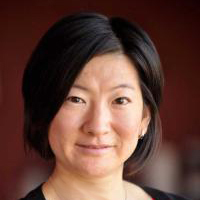 Jennifer Jihye Chun joins UCLA from the University of Toronto, where she was an associate professor of sociology and director of the Centre for the Study of Korea at the Munk School of Global Affairs. Jennifer earned her Ph.D. at UC Berkeley; her research focuses on the dynamics of power, inequality and social change under global capitalism. She is currently principal investigator on a five-year (2015–2020) project, “Protesting Publics in South Korea,” funded by the Social Science and Humanities Research Council of Canada. Prior to joining the University of Toronto, she taught at the University of British Columbia. Jennifer has a joint appointment in the UCLA Asian American Studies Department and the International Institute. 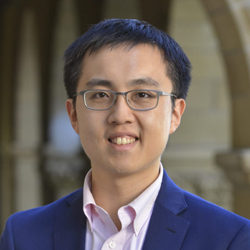 Eric Min joins the UCLA faculty from the Center for International Security and Cooperation at Stanford University, where he has been a Zukerman Postdoctoral Fellow for the past academic year. The research interests of Min, who did his undergraduate education at New York University and completed his Ph.D. at Stanford, include the intersection of interstate war and diplomacy and international security and conflict management. Eric has a joint appointment in the political science department and the International Institute. Originally published July 2, 2018; updated September 20, 2018.